Happy Tuesday, dear friends! I hope the start of autumn finds you happy and well. The change in seasons always lend to a sense of hope and renewal. Autumn happens to be one of my most favorite seasons. Trees produce one last display of glory before their winter nap, and the colors create such a magical display. I have been busy nesting and creating a cozy setting for the approaching season. Today, I want to show you my fall mantel along with a couple of new finds. You may notice a change or two in the picture below. I promise the painting of the Cavalier King Charles Spaniels has not gone far. It just happened to find a better spot to reside in my living room. I will be sharing my fall living room tour with you next week, and you can see where the painting landed. I have always loved Federalist Mirrors. You often see them used in Charles Faudree’s designs. If you have ever priced these mirrors, they can carry a pretty hefty price tag. Well, a couple of Saturdays ago, I just happened to be in my favorite consignment shop in Tulsa when this stunning mirror called to me. It was a great price and to sweeten the pot was the label on the mirror. Do you recognize this label? It is a Charles Faudree mirror! I was over the moon excited to find this piece. To be honest with you, I really didn’t know where it was going to go when I bought it. Do you ever do that? However, everything worked out just fine, and I found the perfect home for my Federalist Mirror. For my fall mantel, I simply arranged gold candlesticks with gold spun flameless candles along with fall candle rings. Completing the look, I placed a coordinating autumn garland and pine cones upon the mantel. I really enjoy the traditional colors of autumn. Do you notice one more new find on the fireplace hearth? I have been looking for the perfect fireplace screen for my hearth. They can be quite pricey. A recent trip to a local interior design antique market yielded this pretty. I spied it sitting on the floor of a booth with French antiques. Most of the antiques in the booth were very expensive, but the fireplace screen was not marked. I went to the front desk, and they offered to call the vendor for me. While I was waiting on the price, I prepared myself that this beauty would probably not be in my budget. When the gentleman came to tell me the price, I could not believe it. Let’s just say that it was unbelievably low. It was one of those run don’t walk moments before someone realizes that they have made a terrible mistake. I have done some research on the piece and believe it to be French and quite old. I have found similar ones online for a much higher price. If you have any information on this piece, I would love to hear what you know about it. Friday, I will be joining a wonderful group of bloggers to bring you a fall tablescape tour. It is going to be a lot of fun, and you know I can’t resist an invitation to set a pretty table. Thank you so much for your visits and comments. I hope that you have a terrific Tuesday, sweet friends!!! Shannon, I am swooning over the Faudree mirror and I am thrilled for you that it now resides over your mantel. Your fall mantel is certainly stunning and cozy. The warm colors of autumn always make me happy. The fire screen is another fabulous find, it adds another layer of your perfect style. Happy Tuesday sweet friend! TWO amazing finds!! Your fall hearth and mantel look wonderful. Shannon, I am so happy for you finding the mirror. I feel your excitement. You have styled your fall mantel with beautiful collectibles and fall foliage. I look forward to your tablescape blog tour. Shannon, what treasures you have found. I believe things are meant to be and I believe you were meant to find the gorgeous mirror. I do know Charles Faudree would be so pleased it resides with you. You have styled your mantel perfectly and everything is so happy together. Your fireplace screen is a beauty, it has such amazing detail and at the same time holds a soft charm. 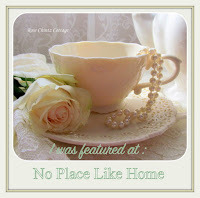 Looking forward to your fall living room and your tablescape blog tour. Your Fall mantle is pretty with natures colors! That mirror was meant for you…I know you love Charles Faudrees style. He was a master at decorating in my opinion! I’ve seen similar firescreens like this one and I would say it is French but don’t know age. I have one but mine is not as circular as this one. It is beautiful! I know how you felt when you found your treasures…..I’ve had many of those feelings in my shopping life! I had furniture bought before I left my parents house to be married (at age 16). Still married to same sweet guy…My house is cluttered and don’t need anything else but I’v always been an addicted passion home and garden person! SO…off I go looking treasures! oh lucky you Shannon, you found some beautiful classic pieces! I love the CF mirror over your mantel, such a timeless classic look…and the King Charles spaniels look wonderful flanking it~ you have really captured the feel of Autumn! Beautiful Shannon! I’ve always wanted one of those mirrors too. You sure found a beautiful one and it looks perfect above the fireplace. Love the fall accents you’ve added. I need to get my fall decorating in gear! What?!!! You found a gorgeous Charles Faudree mirror?!! !….I have yet to see a Federalist mirror that beautiful…that is a mirror that my hubby would definitely give me the “thumbs up” on! Great find and exquisite mantel Shannon! I assume being in the Tulsa area, C.F. finds would be more available that where I am! 🙂 Here’s to finding more treasures! Cracking up at your “run don’t walk moments!” My husband and I had that same conversation the day we found our authentic 100 year old farm table for $10 at a yard sale. There have been many other days like that. Some finds are such steals I feel guilty and end up going back and asking the seller “Are you sure, this is worth a lot more I think…” They always say “I just want it gone!” So, then I don’t feel as guilty! Beautiful mantel and great fall finds! Thanks for sharing at TFT! What beautiful pieces on your mantle and the firescreen is a real treasure. Is that Imari china quietly sitting there ?